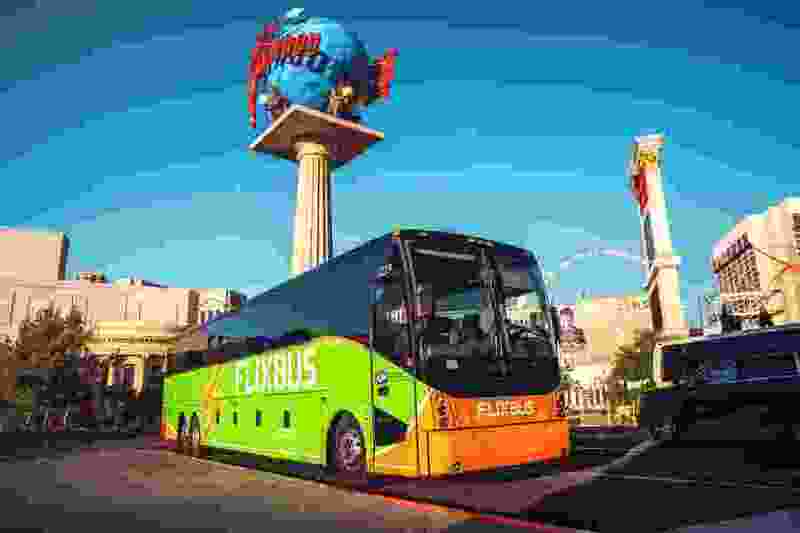 (Photo courtesy of FlixBus) FlixBus, a European company that started U.S. service a year ago, is starting a new line between Salt Lake City and Las Vegas on Friday. Introductory fares are $4.99. It offers competition to Salt Lake Express, whose listed fares are between $19 (for the first few tickets available on selected trips) and $103 depending on time and demand, and Greyhound, whose listed fares between Salt Lake and Las Vegas are between $54 and $113. FlixBus will offer service at the intermodal hub in Salt Lake City, at the corner of 300 South and 600 West. In Las Vegas, buses stop in front of Caesar’s Palace on the strip or downtown across from the Bonneville Transit Center. FlixBus was launched in Germany in 2013. After it expanded to 28 countries in Europe, it started service in the United States last May connecting major hubs in the Southwest. In March, it also expanded with Southern routes in Texas, Louisiana and Mississippi. Also, it owns none of the buses itself — but offers franchises to existing bus tour companies. “So they just add a few buses," he said. “We don’t have to add maintenance yards or middle management."